Did you previously purchase or get Zweihänder Grim & Perilous RPG for free? A new version is now in your DriveThruRPG account! 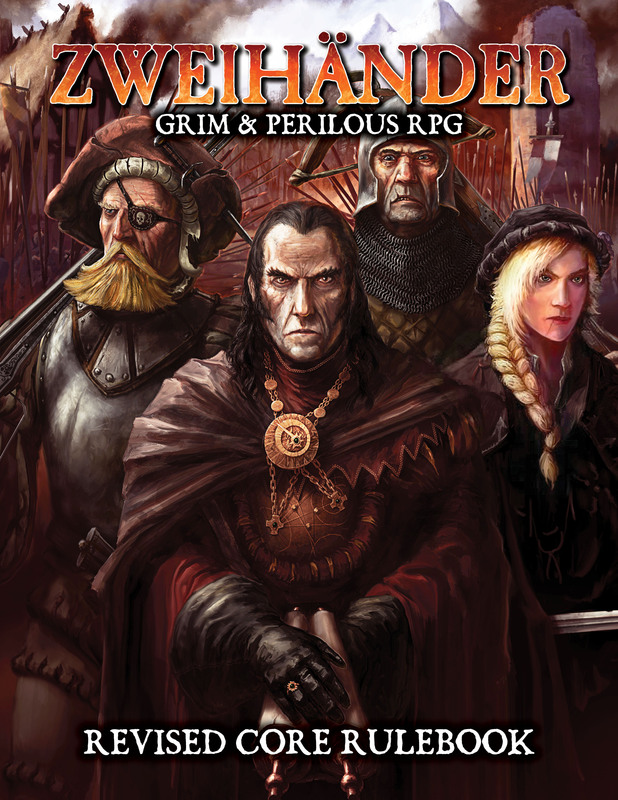 You heard us right – Zweihänder Grim & Perilous RPG: Revised Edition has been released in digital format! Simply log into your DriveThruRPG account to download the latest version. This new digital version features a refreshed layout, sepia tone tables throughout, new artwork from Dejan Mandic, numerous rules clarifications, all-new Drawbacks for character creation, errata gathered since release and a color plate spread by Dejan Mandic to separate the player and GM chapters. Full errata included here. We will update the errata in a week with a properly-formatted version for you to print out and stuff into your current physical book. This revised edition will not be made available for print-on-demand or available to new purchasers on DriveThruRPG. Instead, you can pre-order the ebook and offset, high quality hardback of this new edition on Amazon, Barnes & Noble, Indiebound right now. Or, you can wait a month to pre-order at your favorite brick & mortar store. Remember: if you buy a physical copy, the PDF is always free!